Cooking has always fascinated me and because of that, I have grown to love cooking, especially baking. Over the years, I gained many insights regarding baking and bought a lot of baking materials and tools along the way. One of the best buys for me is the baking sets. However, I experienced buying baking tools and sets that are not reliable and does not last long. Because of that I set out on a journey to finding the best bakeware sets available in the market today. This bakeware set is one of a kind. It is free from radicals and the baking set does not stick which makes it easier for use. Cleaning it is also easy because it is compatible and safe if cleansed using a dishwasher. I may not be much of a stylish person, but it is never a bad thing to have a stylish baking set. If you are keen on having stylish and fancy cooking wares, Rachael Ray 10-Piece Bakeware Set is the best deal. The overall design of the baking ware could satisfy your preference and it even goes the extra mile because of the additional features and pans. In terms of resilience, this product boasts of incorporating quality grade carbon steel. Even the edges have been rolled out, giving the product a trendier design.Besides being trendy, the durable latte-colored non-stick surface makes it a winner. On top of that, it is easy to remove your food once it is cooked. Cleaning is not that difficult because the pans are removable and easy to clean. The cranberry red handles are also useful in removing the hot pans from the oven as well. I would suggest this product to novice bakers who want to enhance their baking to greater heights. The rationale for that is because this product is portable and easy to use. It is a portable baking ware that surpasses other brands. Pyrex is a trusted brand and I have used this brand multiple times. The baking ware functions like a carbon steel, but it is a very durable product. It can resist warping, rusting and even staining. Moreover, the product comes with a double decker bag, making it easier to move. It is also BPA-free, ensuring the health of your loved ones and families. If you are a keen person like me and prefers a more dynamic product, the ChefLand 10-Piece Non-Stick Bakeware Set is the product to opt for. With 10 pieces at your disposal, baking any type of recipes is now achievable. The wide array of resources available in this product makes it my favorite. The different pans at my disposal provide me ease and efficiency as I bake. One of the things that I like about this product is its 12 cup muffin pan. I always use this when I bake for my family or during thanksgiving. However, some of my baking friends have mentioned that the product has a high tendency to form rust. In my opinion, take extra care in cleaning the tool. You can hand wash them using soapy water and make sure that it is dried immediately. 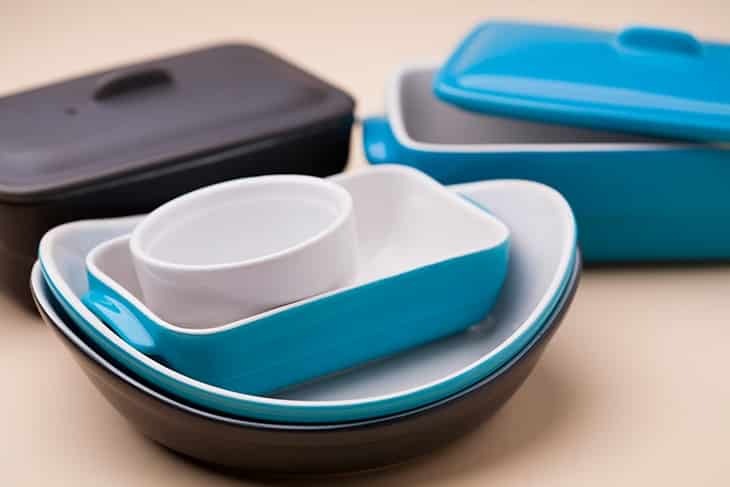 If you are seeking a more affordable product that offers elegance, reliability, and a wide array of pans, the CorningWare is the product that you should buy. I came across this product when I was searching for an alternative brand to replace Rachael Ray because of its price. Even though it is half the cost of the Rachael Ray, its features should not be undermined. However, one drawback with this product is that it is made of stoneware, thus extra care is required. On a side note, the plastic and glass covers are helpful. Additionally, the designs are exquisite and the craftsmanship is stellar. Besides that, the product has the capability to counter cracking and chipping. Baking has always been my forte, but in the past, it wasn’t. In my journey, I came to know the relevance of having reliable cooking and ba﻿﻿king too﻿﻿ls. If the product is not reliable, it affects my baking and in turn the outcome is not always what I had hoped for. 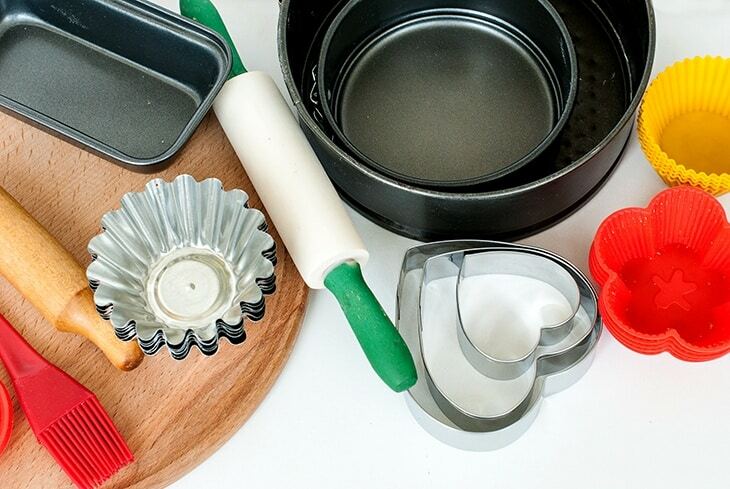 This guide aims to help you address the hurdles of baking and assist you in buying the best bakeware sets available in the market today. Here are some of the things that you must consider before making a purchase. See the full in-depth review. 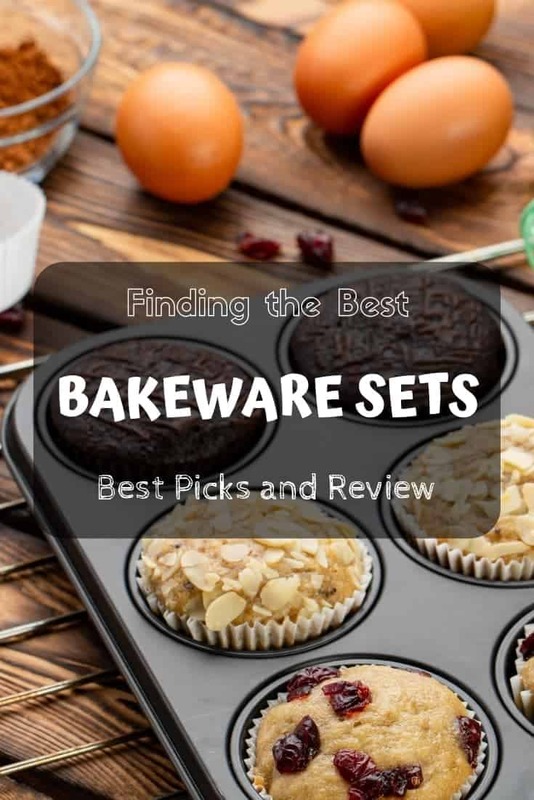 best #bakeware sets available in the market today – best picks! There are many things to consider before buying the bakeware sets. You need to check the price, the value, the features and even the add-ons. On top of that, you need to check if its ideal for use or if its compatible with your other co﻿﻿okin﻿﻿g tools. Here is an in-depth detail of each factor that you must be taken into consideration. Price is always a dominant factor when it comes to buying. In my case, I am a picky buyer, besides checking the features, I am always on the lookout for the best deal. There are bakeware sets that are not pricey and yet offers the same features as the expensive brands. This is where time and effort usually takes place. Give it time when buying the product. Scan the features and the price and compare it with the other brands. Always look for the bakeware set that is non-stick. If the baking tool sticks out, it will affect the output. 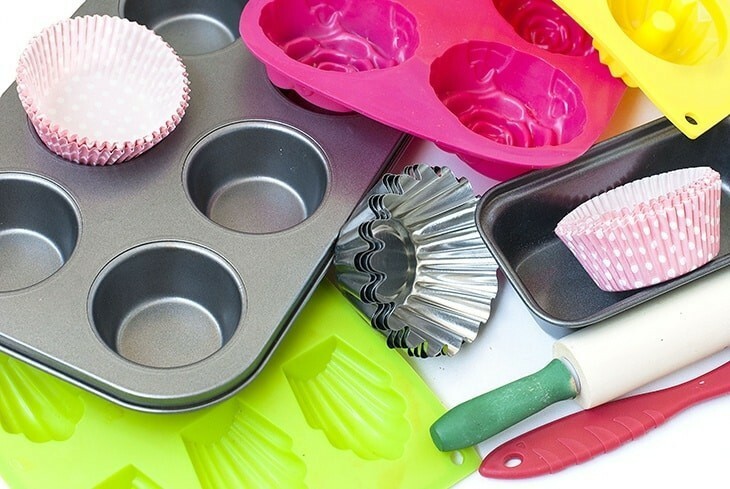 If you are baking muffins or cake, the designs might be affected if the pan does not have the non-s﻿tick feat﻿ur﻿e. 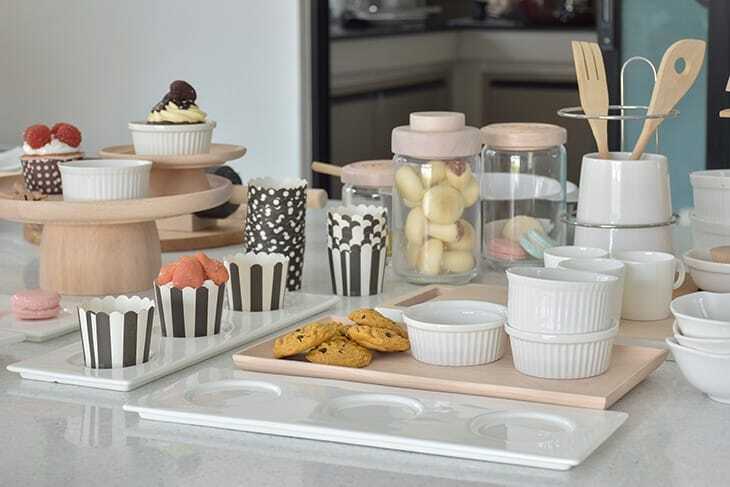 There are many materials being on all cook wares, but the performance matters a lot and to achieve optimum results for your baking needs, the bakeware set relies on the materials used to make it. 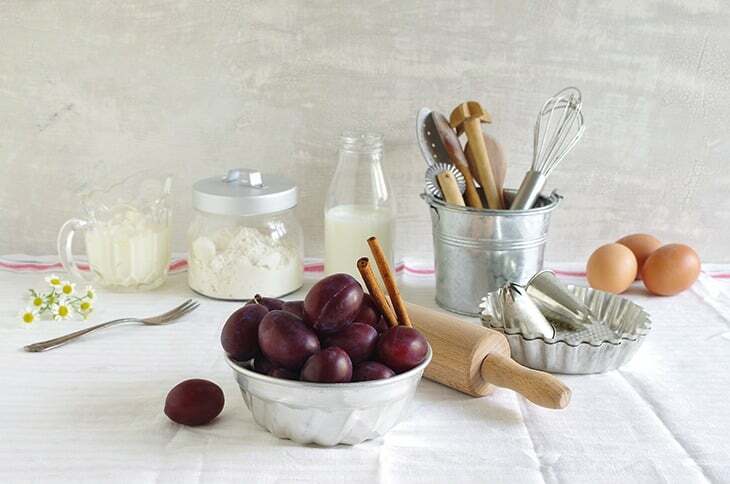 Here are some of the materials used on all types of baking wares. When the baking ware is made of glass, you can be assured that it will not react with your food. Glass counters heat because of its high resilience to heat. It is in fact a great heat conductor. It is ideal for storing food, great for baking puddings, muffins and casseroles. However, take note that the food will turn to brown if it is high in sugar. Moreover, it takes longer to heat it up. One great thing about this material is that it is very easy to clean. Ceramic usually features an enamel finish. It is ideal for baking because it can handle high temperatures and has the capacity to distribute heat evenly. One setback, similar to glass, the food will turn to a brownish color if it’s high on sugar. If you are a fan of baking pastries, search for a baking ware that is made of metal. The metal based products can endure high heat. 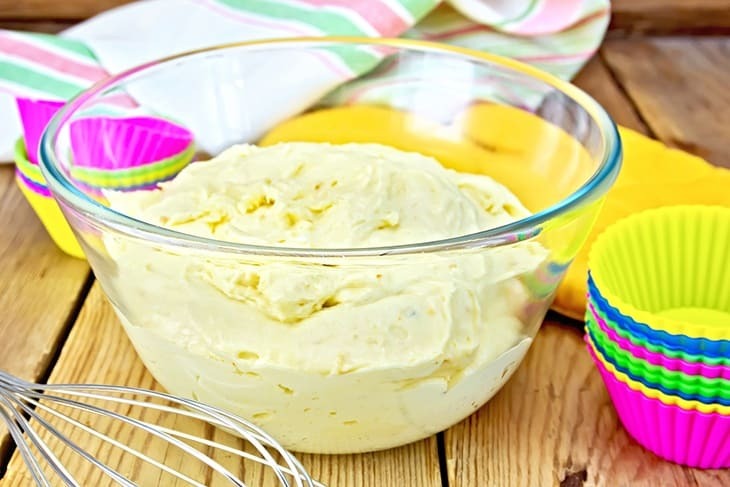 Products made from this material is ideal for baking cookies and biscuits. Moreover, this type of bakeware sets can heat up faster and usually cools down faster as well. On top of that, heat is evenly distributed thus the results are good. Cleaning the bakeware set should not take most of your time. This is the reason why I listed this element as one of the factors to look for before buying the product. Remember, the non-stick bakeware sets are easy to clean, so try to look for those features. One of the things to look for is that when cleaning the ware no food residue should be left on the surface or any traces of it. Durability is imperative. The longevity of your bakeware sets will not only save you money and resources, but it can save you time and effort as well. If the product is resilient to rust, cracking or other flaws, your baking would not be hindered at all. Comfort is significant. Since baking usually uses heat to cook the pastries, cakes or cookies, the handles must be comfortable for use. Don’t buy a bakeware set that is not comfortable to hold and to use. Always opt for a bakeware set that offers a strong and comfortable grip. Moreover, the handles should have silicone to counter the heat, making it easier to grab and hold. As I have mentioned above, in order to buy the best bakeware sets sold in the market, consider these elements before making a purchase. 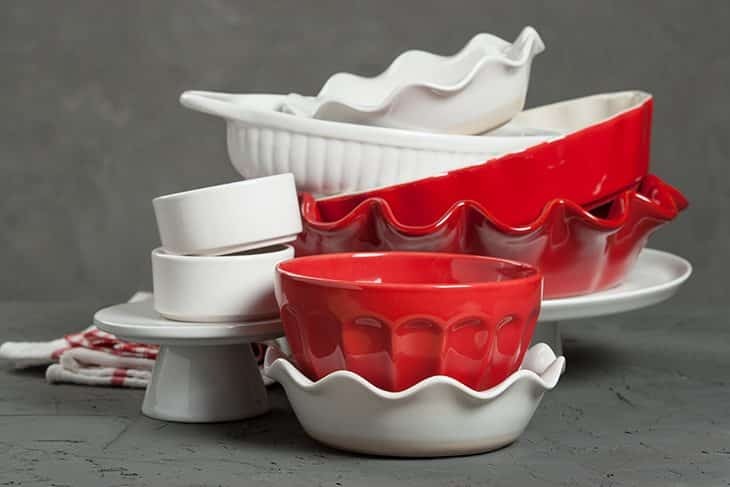 Out of all the five products that I have reviewed, I prefer to use the CorningWare 12-Piece Bakeware Set and Rachael Ray 10-Piece Bakeware Set. Both of these products have the most features that I am looking for. It has all the necessary baking essentials that I needed and I am convinced that it can help you in your baking needs as well. Moreover, the bakeware pans are made from carbon steel, non-stick and the layers are interlocking as well. If you have bought a bakeware set, please share to me your experience. If you have additional suggestions, I would love to hear from you, so don’t forget to leave a comment below. You can also freely share this article if you want too. My wife loves creating things in the kitchen, and I think that being able to surprise her with some new bakeware would be something she’d really love! I’m glad that you talked about some of the best options for bakeware that are available to provide the most for our money. I think that being able to look for some of these baking accessories would be something good for us to invest in, and something that I’d really like to have! Thanks for the help! Thanks a lot for your interest, Max. Hope you like other posts also. This is a nice guide Emily, thanks for sharing it with us. Very detailed, simple and beautiful designed. I have learned a lot from it. 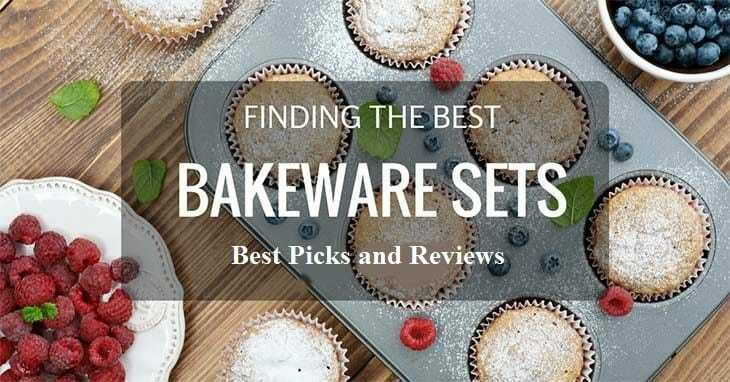 By the way, if you would recommend one bakeware set from this list for a beginner, which one would it be? Hi there! So if you have absolutely no pans yet, I would recommend The Cheflands set. Otherwise, for the beginner, I would recommend this one.